As of January 1, 2019, my term as Chair of the IIPC came to a close. Having served as Chair since September 2017 and, prior to that, as Vice Chair from April 2016 (during the excellent leadership of Emmanuelle Bermès of BNF), I have seen the IIPC continue to grow and evolve. It has been a privilege to serve in these roles during this exciting time. While I will continue to serve as a regular Steering Committee (SC) member, I wanted to take this transitional moment to reflect on the successes and ongoing work of both the SC and the IIPC. The centrality of the web as a communication and publication platform only increases by the day and the work of the IIPC and its members becomes ever more critical in documenting history, preserving knowledge, and interrogating privilege and power. There is always more work to be done. Before reflecting on recent progress and future directions, I want to give a big thanks to my co-Officers. Vice Chair Sylvain Bélanger of Library Archive Canada and Treasurer Tom Cramer of Stanford University Libraries both worked to advance IIPC’s mission and operations. As well, Program and Communications Officer Olga Holownia worked, and continues to work, tirelessly to support the overall activities of the consortium. Thanks go as well to the SC members that volunteer their time and to the many regular members that actively contribute to Working Groups (WGs), committees, portfolios, etc, and who keep the IIPC a dynamic forum for sharing knowledge and practices. Lastly, I look forward to the great team of new SC Officers, Chair Hansueli Locher of the Swiss National Library, Vice Chair Mark Phillips of University of North Texas, and Sylvain serving as Treasurer. The near-term future of IIPC is in good hands. It is well known that IIPC faced many financial and operational difficulties related to the unforeseen inability of BNF to continue to provide financial and accounting support for IIPC in 2017, after many years of admirably providing this service for IIPC without recompense. We all owe thanks to British Library and to Olga for enabling the 2017 conference to happen, even in a moment of financial uncertainty. From crisis came positive change, as myself and Abbie Grotke of Library of Congress were able to arrange an agreement with the Council of Library and Information Resources (CLIR) to provide professional fiscal sponsor services for IIPC. CLIR is a wonderful supporter of the library community, has proven an excellent fiscal agent, and we are excited to establish this relationship and expect it to be a foundation for further collaborations. Much work was also done by Officers to implement a suite of protocols and procedures around invoicing, member onboarding, financial tracking, vendor and expense payments, and other basic budgeting and organization management. Many of these processes were previously unenforced or nonexistent and caused a notable strain on IIPC’s limited staffing. Professionalization of finances and many operations should allow IIPC to focus more on its core mission – delivering member value and advancing preservation of the internet! The past few years also featured improvements in the planning and management of the GA and WAC conference, including more seamless planning workflows, more budgetary autonomy for hosts, the exploration of sponsorships, registration fees, and event planning services, and other efficiency and sustainability approaches. The IIPC WAC continues to be the premier event for web archiving, and many attendees noted that the 2018 GA/WAC hosted by National Library of New Zealand was one of the best conferences so far. Proposal submissions, sessions, and attendance all continue to grow and the quality of the event remains superlative. The 2019 event at the National and University Library in Zagreb, Croatia will continue the trend. Other workshops, forums, and programming also continued IIPC’s essential role in providing the best venue for discussion of web preservation and access issues. A number of new initiatives, as well as growth in existing projects, signaled that member engagement and contribution remains high. From the new Training Working Group, to an extensive Member Engagement Survey, to the growing collaborative collections of the Content Development Group, to many other formal and informal activities, IIPC members remain active in the organization. We are hoping the stability mechanisms of the past few years have enabled even more ways for members to participate and contribute. Though, per above, great strides were made in professionalizing many activities, other areas of operations also need to evolve to account for IIPC’s growth and strategic aspirations. The challenges related the fiscal agent transition illuminated broader circumstances related to IIPC’s growth over the years – namely that critical operational and administrative functions can no longer be dependent on the the unpredictable contributions or internal decisions of individual member institutions. The model of member-contributed operational support made sense when IIPC was one or two dozen members. With over 50 members, a growing portfolio of activities, and nearly 200,000 EUR in annual member dues, IIPC has outgrown such an arrangement. All core functions of IIPC – from finances to operations to staffing – need to operate autonomously and independent of individual members to ensure a successful, ongoing provision and continuation of services and obviate conflicts of interest. There are many arrangements that can be pursued to support this self-sufficiency and IIPC is blessed with a large financial reserve that can help advance this effort. Work to achieve this self-reliance will no doubt be a focus of the SC in the coming years. As I noted in my Chair’s address at the General Assembly, IIPC is poised to pivot to focusing on resiliency, member benefits, and strategic investment. I had fantastic conversations over the years with members about ideas for IIPC to deliver value to members via new activities and investments. As part of these conversations, I devised with feedback from SC, a “Discretionary Funding Program” (see link above) to invest a significant portion of IIPC’s reserve funds to support member-proposed and member-managed projects. Expect more news about this program soon. IIPC also needs to invest resources to encourage a broader involvement of members in leadership positions. There is very little turnover in institutional representation on the SC. As well, Officer roles have also been held by an even smaller number of institutions historically, and there was no self-nomination for Chair during this year’s nomination period (thanks go to Hansueli for stepping up after the year started with the role vacant). To remain vibrant and reflective of its community, representation of more members is needed at the Steering, Officer, Working Group chairs, and other elected and self-nominated positions. Term limits, limitations on consecutive terms served by an institution, leadership stipends, more clearly defined expectations of service, or other formal or informal inducements are ideas that could bring fresh perspectives and new ideas to SC or WG leadership roles. Like with operations, IIPC’s governance needs to evolve and adapt to introduce new voices and vibrancy to our growing organization. The web is a global and, in some ways, borderless phenomenon. Yet one only need to look at the IIPC membership map to recognize that vast portions of the globe are underrepresented in IIPC and, likely, in the global web collection we are all working to build. 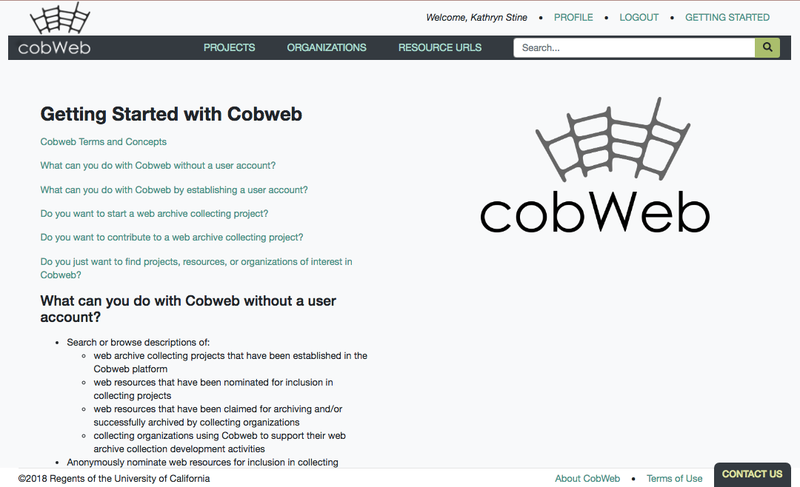 As well, web preservation is increasingly a concern of institutions beyond just national libraries and research universities. There is surely momentum and engagement to be found in scaling IIPC membership and activities both vertically (inclusive of organizations of differing size, mandates, and missions) and horizontally (inclusive of underrepresented regions and nations). Building a truly global organization, as well as a diverse, inclusive preserved record of the web, will require participation far beyond North America and Europe. Subsidized membership rates, diversity scholarships or travel funding, and targeted partnerships, outreach, or participation tools are just some ideas or activities that can started or scaled. I am excited to work with colleagues over the coming year to propose a number of ideas for improving diversity within IIPC. In summary, I had four goals when assuming SC Officer roles: get IIPC’s house in order, improve operations, scale support of member-driven projects, and diversify membership and leadership. I think notable progress was made on three of those four and more time will allow diversity initiatives to gain traction. While some of this progress was behind-the-scenes or is soon-to-be-released, hopefully it has helped IIPC grow and thrive. The new leadership team will no doubt continue this trend. The IIPC is governed by the Steering Committee, formed of representatives from fifteen Member Institutions who are each elected for three year terms. The Steering Committee designates the Chair, Vice-Chair and the Treasurer of the Consortium. Together with the Programme and Communications Officer (PCO, based at the British Library), the Officers are responsible for dealing with the day-to-day business of running the IIPC. The Steering Committee has designated Hansueli Locher, Swiss National Library, to serve as Chair, Mark Phillips, University of North Texas, to serve as Vice-Chair and Sylvain Bélanger, Library and Archives Canada, to serve as Treasurer in 2019. CLIR (the Council on Library and Information Resources) remains the Consortium’s fiscal host. The Members and the Steering Committee of the IIPC would like to thank Jefferson Bailey (IIPC Chair, September 2017 – January 2019 and Vice-Chair, April 2016 – September 2017), Internet Archive, Sylvain Bélanger (IIPC Vice-Chair, September 2017 – January 2019) and Tom Cramer (IIPC Treasurer, September 2017 – January 2019), Stanford University Libraries, for contributing their time and expertise to support the Consortium during their extended terms of office. The nomination process for the IIPC Steering Committee is still open and five seats will become available as of June 1st 2019. IIPC Members are invited to nominate themselves by sending an email including a statement to the IIPC Programme and Communications Officer by March 1st 2019. After being a teacher for several years Hansueli Locher decided to turn his hobby – computer science – into his profession. He worked at the Swiss Federal Statistical Office where he was responsible for database supported evaluations of statistical data. He also developed a library system and supervised information projects with strong IT-links. Since 2000 he is working at the National Library. As Project Manager “Archiving” he was responsible for the technical aspects of long-term preservation of digital objects. As Head of ICT Services he is now responsible for IT at the Swiss National Library and the Federal Office of Culture. Swiss National Library joined IIPC in 2007 and Hansueli has represented the Library in the Steering Committee since 2013. 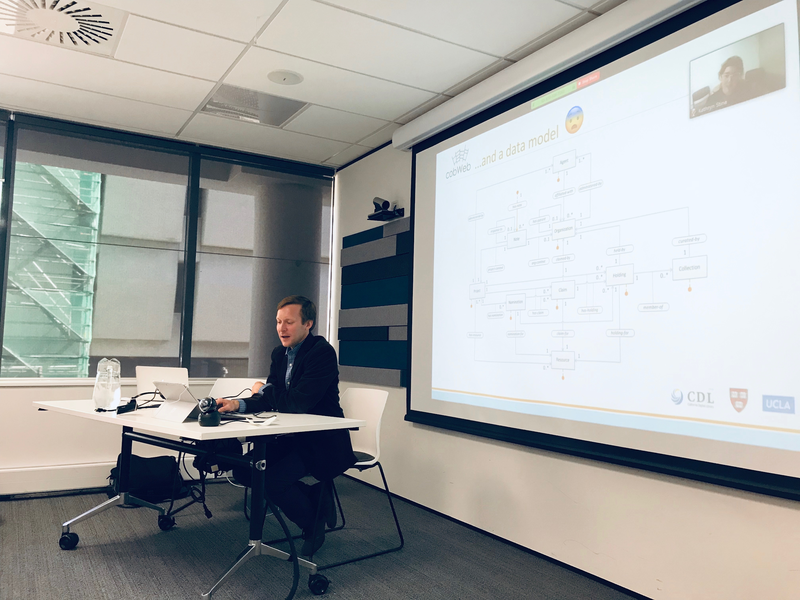 Hansueli has also been the Lead and is now one of the Co-Leads of the IIPC Partnerships and Outreach Portfolio and was on the Organising Committee for the General Assembly and the Web Archiving Conference in Wellington, New Zealand. Mark Phillips is Associate Dean for Digital Libraries at the University of North Texas (UNT) in Denton, Texas. Mark has been involved with all stages in the development of the digital library access and preservation infrastructure at the UNT Libraries. The UNT Libraries’ Digital Collection manages over 2.5 million digital resources made available through the interfaces of The Portal to Texas History, the UNT Digital Library, and the Gateway to Oklahoma History. 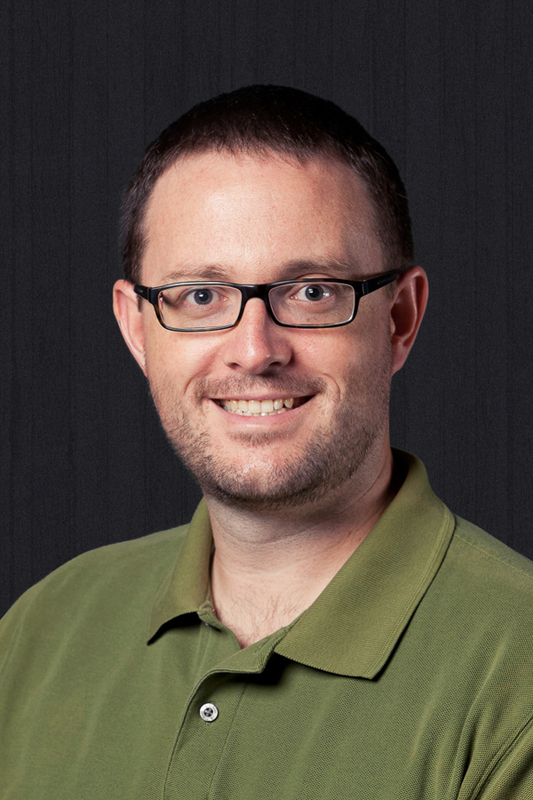 In addition to digital library infrastructure development, Mark has been involved in the web archiving activities at the UNT Libraries since 2004 including the 2008, 2012, and 2016 End of Term Web Archive activities and the development of the URL Nomination Tool. He has been active in IIPC since the UNT Libraries joined the Consortium in 2008 and has served as the UNT representative for the IIPC Steering Committee since 2015. Mark has been one of the Co-Leads of the IIPC Partnerships and Outreach Portfolio and is currently the Portfolio’s Lead. 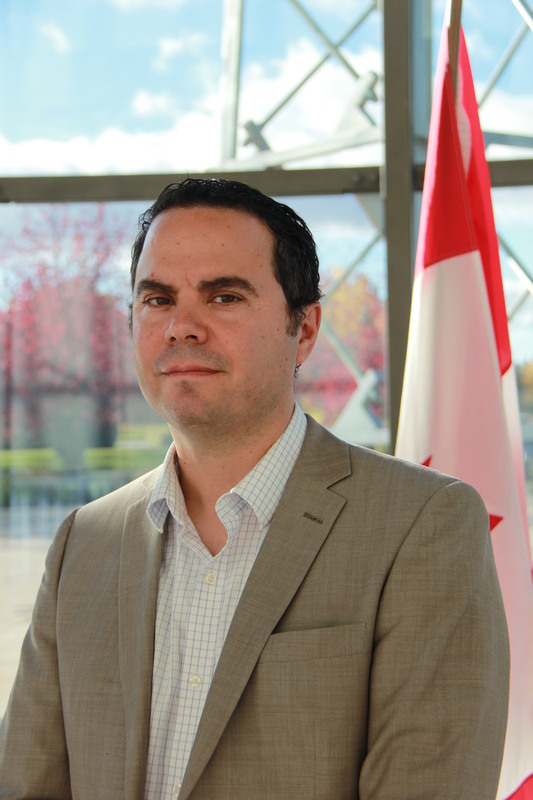 Sylvain Bélanger is Director General of the Digital Operations and Preservation Branch for Library and Archives Canada since February 2014. In this role Sylvain is responsible for leading and supporting LAC’s digital business operations, and all aspects of preservation for digital and analog collections. 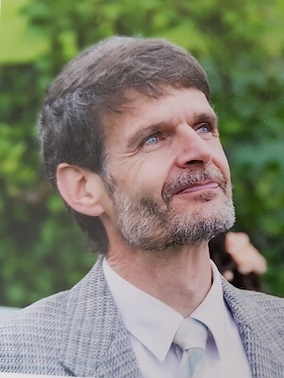 Prior to accepting this role, Sylvain was Director of the Holdings Management Division since 2010, and previously Corporate Secretary and Chief of Staff for Library and Archives Canada. Library and Archives Canada is one of the founding members of the IIPC.